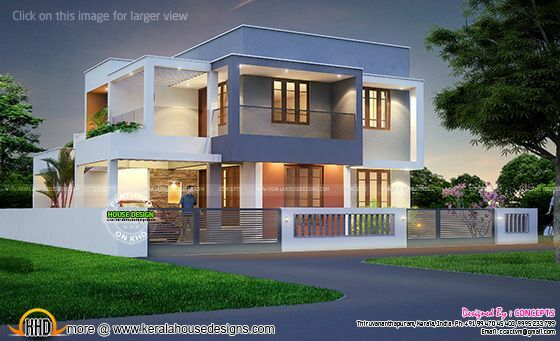 2200 Square Feet (204 Square Meter) (244 Square Yards) modern house with free floor plan. Designed by Concepts, Consolidated Engineering Consortium, Trivandrum, Kerala. 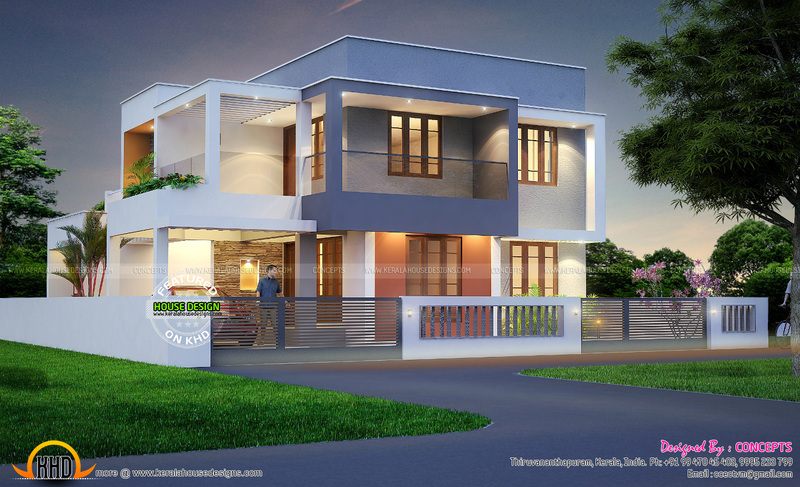 Ground floor - 1400 Sq.Ft. First floor - 800 Sq.Ft. Total area - 2200 Sq.Ft.